This complete guide to the selection of materials for interiors has been updated to reflect recent industry changes and contemporary awareness of topics. 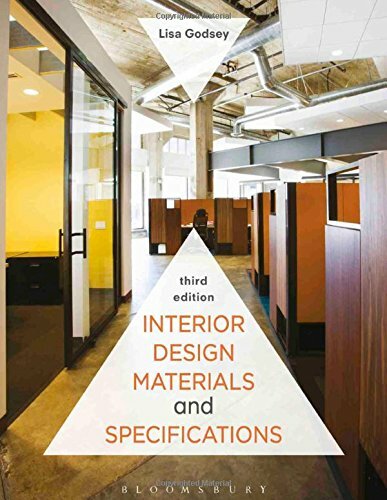 Written from the viewpoint of the working designer, Interior Design Materials and Specifications, 3rd Edition, describes each material’s characteristics and teaches students how to evaluate, select, and specify materials, taking into account factors including code compliance, building standards, sustainability guidelines, human needs, and bidding processes. Students will learn how to communicate with suppliers and vendors to achieve the results they envision and how to avoid some of the pitfalls common to material selection and specification. Interior Design Materials and Specifications STUDIO-an online tool for more effective study! PLEASE NOTE: Purchasing or renting this ISBN does not include access to the STUDIO resources that accompany this text. To receive free access to the STUDIO content with new copies of this book, please refer to the book + STUDIO access card bundle ISBN 9781501321764.